Join us at this annual gathering of Utah’s tourism industry is sponsored by the Utah Office of Tourism and the Utah Tourism Industry, featuring general and breakout sessions on the latest in tourism issues and technology and area discovery activities. Come network with old friends and meet some new ones! WHO ATTENDS the UTAH TOURISM CONFERENCE? including marketing and advertising, research and planning, publications, information services, media relations and cooperative programs. The Utah Tourism Industry Association is the trade association for the tourism industry in the state of Utah. The overall mission of UTIA is to serve as the coordinating body for the combined interests of associations, chambers, organizations, businesses, and individuals engaged in serving and developing tourism in Utah. UTIA is an organization that focuses on issues of concern to all organizations involved in tourism rather than just the narrower interests of individual tourism entities. 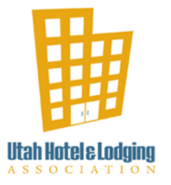 The Utah Hotel & Lodging Association is dedicated to providing a resource to support the hospitality industry throughout the state of Utah and to represent the common interests of our members in an ethical and professional manner, including political action, education, marketing support and industry advancements in the state of Utah. Please forward sponsorship and exhibitor inquiries to info@utahtourism.org. 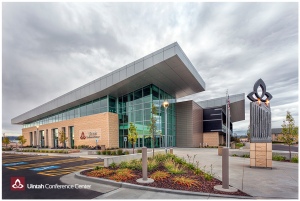 All meetings will be held at the Uintah Conference Center, unless noted. For a full list of pre- and post-conference activities, please visit the UTIA website. 6:30-8:15 a.m., Sunrise Yoga at Red Fleet State Park: Bring your own mat. Meet at the Marriott SpringHill Suites at 6:30 am. A bus will transport you to Red Fleet and back to the Marriott by 8:15 a.m.
6:00 p.m., Opening Reception & Dinner Under the Stars – Sponsored by Uintah County and TripAdvisor. Join us for a night under the stars in Dinosaur National Monument at Split Mountain. Attendees will enjoy a Dutch oven dinner, entertainment, drinks, and an opportunity to walk along the Green River, view the world famous Wall of Bones, and star gaze into some of the darkest skies in America. Transportation will be provided by Wilkins Bus Lines and will leave from the Marriott Hotels and Uintah Conference Center at 5:30 pm. You are welcome to drive your own vehicle, but parking is limited and we encourage you to take the bus or carpool. Don’t forget a jacket, as September evenings can get cool. Des Barker, UTIA Legislative Strategist: One-on-one 10-minute appointments. Sign-up at the UTIA booth. Whether you’re trying to get the media to cover your property or simply create appealing text for your website, you’ll want some writing tricks that will strengthen your offer. In this useful workshop, travel writer and editor Doug Lansky will provide some handy pitch and writing skills to help you get the attention of travel writers and editors as well as create a hook for future guests. This useful workshop is hands-on and will help you better market your business. 2. Hotel/Hospitality Track: Dave Hamilton, SVP Sales, Signature Worldwide: Inside the OTAs: What’s the Difference Between the OTAs and Why does it Matter? In this session we will review the three primary OTA models – retail, merchant and opaque and the typical costs associated with each channel. We’ll also review the new meta-search options and what it means for your bottom line. 3. Destination Development Track: Monir Parikh, CEO Bandwango: Developing Deeper Relationships with Locals and Visitors Alike. DMO’s and CVBs have unique qualities when it comes to SEO-domain authority and highly relevant content. 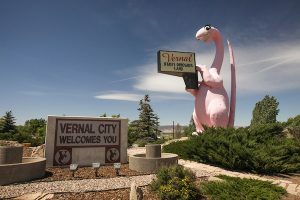 In that regard, both locals and visitors are searching for things to do in their cities and the DMO consistently ranks high in search results. Bandwango has partnered with over 20 DMOs to create mobile experiences designed to serve visitors and locals alike. Clients utilize the platform to create attractions passes, membership programs, discount clubs, and even experiences specifically designed to generate hotel stays. These programs are designed to not only target visitors, but just as importantly create value for locals and create “resident ambassadors”. We will present three case studies from Visit Salt Lake, Go Cedar Rapids, and Visit Ogden to showcase how these innovative DMOs are utilizing mobile technology to provide value to all customers, not just visitors. In this session, you’ll receive a simplified introduction to measuring the effectiveness of your digital marketing effectiveness and learn the handful of key performance indicators (KPIs) that matter most to your digital marketing programs. In doing so, you’ll gain a hands-on introduction to Google Analytics, the most popular (and free!) web analytics package that will help you understand where your visitors are coming from, what content is performing well and which digital marketing initiatives are providing the best bang for your buck. During web searches, 40-60% of customers will pick up the phone and call the property directly. Are your agents prepared to convert those callers? In this session we will cover how to help your hotel connect with callers in the first 30 seconds, discover what is important to the callers, deliver value so they can recognize the value of your property and ultimately close the sale. When it comes to tough tourism issues, there’s no need to reinvent the wheel. Hotels, restaurants, attractions, tours… entire destinations are typically experiencing many of the very same problems. So, in addition to Doug’s expertise, he’ll help tap your best resource – your fellow stakeholders. Everyone will get a chance to share issues and offer solutions. From dealing with guest complaints before they end up on TripAdvisor to new and creative customer service communication tricks, Doug will help steer the conversation to cover a wide range of issues and offer some useful takeaways. Des Barker, UTIA Legislative Strategist: Round table legislative discussion (max.10 people) sign-up at the UTIA booth. You may have heard that organic reach is dead. While that’s certainly an oversimplification, the reality is that you must have a paid social media strategy to succeed in today’s social media landscape. But the good news is that Facebook offers advertisers unprecedented opportunities to target and engage with customers through a wide range of ad units. In this session, we will focus on getting the most out of Facebook marketing with a limited budget. You don’t have to be Coca-Cola to make Facebook work for you. Together we will work all the way through how to decide what Facebook offerings are right for you up through measuring success. This session will be entirely focused on smaller destinations like you, while offering best practices from larger DMOs and travel brands who spend hundreds of thousands or millions of dollars per year. Are your guest service agents prepared to sell against the OTAs when the caller has found a better rate online? In this session we will walk through a process your agents can use to successfully convert OTA shoppers to direct bookers. Booking direct can save your hotel money, but today many hotels are sending callers back online to book. We’ll give you some tips and strategies to increase your direct bookings. Caineville and Magna are communities that have taken advantage of film productions in the last several years. They will explain how they worked with filmmakers and the community to be ready to meet the needs of production companies. 8:00-11:00 a.m., Silent Auction with final bids at 11:00 a.m.
Every business and non-profit endeavor has a unique fan club, a group of believers who believe in what you stand for. If you’re smart, you spend less time trying to capture new customers and donors, and more time connecting with your advocates who have super-fan power. They are ultimately the force that will bring you the revenue, customer base or volunteers you need to remain viable. Customer loyalty, or in Lady Gaga’s words, “Monster Loyalty”, is a key to marketing yourself in this decade. In this session, you will learn the important basics of Google AdWords from award-winning digital marketer and SEO expert Sarah Stashuk. Get insider tips from an AdWords-certified industry veteran who has mastered the art of conversion-focused advertising for the Utah Office of Tourism, Kentucky Department of Travel, Silver Dollar City Attractions, Elvis Presley’s Graceland, and many others in the tourism and attractions industry. Sarah will show you step-by-step how to set up a successful campaign and evaluate the results. The AHLA represent over 24,000 members totaling over half of all the hotel rooms in the United States. In this session you will receive an AHLA Legislative Update including success stopping illegal hotels, protecting consumers from online deception, taking on labor issues, and our support for travel and tourism promotion. Budding tourism dreamers/entrepreneurs get the chance to present their dreams and potential projects to enhance and increase the tourism economy to our panel of tourism experts — just like the reality show! They offer their ideas to the sharks in the tank — three pillars of Utah’s tourism industry who have helped elevate the tourism economy in Utah to its status as a major player. The contestants try to convince any one of the sharks to support their idea. When more than one of the sharks decide they want a piece of the action, a war can erupt, elevating the potential success of the project. AND……there’s a prize for the most viable project! Inspired by thought leaders, this talk is designed to navigate people to personally transform from becoming life spectators to designing change catalysts to society. Many people spend a lifetime trying to discover their personal desire and yet few actually live a life pursuing that purpose. The intention of this talk to fascinate and motivate an audience to act on their personal purpose in life and empower transformation. 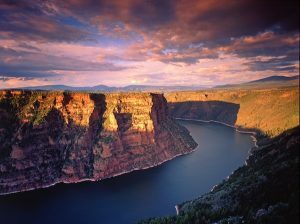 Optional Post Tourism Conference Activities at Flaming Gorge. Be sure to add Thursday night to your hotel stay! Sign up when you register. 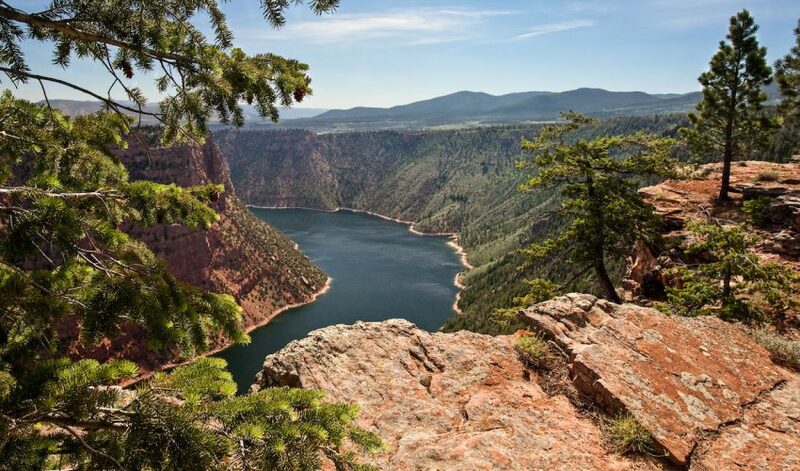 *FREE evening of fun at Flaming Gorge includes a tasty dinner, local brews, live entertainment, scenic boat tours and some paddling (SUP’s and kayaks) in a wondrous location. Advance reservations are required. *Rafting on the Green $15/pp. Help us recognize amazing individuals in Utah’s tourism industry with your nominations for three awards. 2017 Tourism Works Awards Spirit of Service: The Spirit of Service Award is presented to the tourism employee or volunteer who best exemplifies the Utah tourism industry commitment of exceptional service by showing “Service Elevated”. 2017 Tourism Works Awards Outstanding Community Tourism Initiative: Acknowledges an activity, event, or project undertaken by a community or region to promote tourism in Utah. 2017 Tourism Works Awards Outstanding Utah Advertising Award: Recognizes superior advertising from an organization for either a single target promotion or a full campaign that exemplifies the organization’s creativity and excellence in promoting tourism in the state of Utah.